When Gabi places her hand atop a handprint in an ancient tomb and finds herself in fourteenth-century Italy. And worse yet, in the middle of a fierce battle between knights of two opposing forces. Suddenly Gabi's summer in Italy is much, much more interesting. Gabriella has never spent a summer in Italy like this one. Remaining means giving up all she's known and loved . . . and leaving means forfeiting what she's come to know--and love itself. Most American teenagers want a vacation in Italy, but the Bentarrini sisters have spent every summer of their lives with their parents, famed Etruscan scholars, among the romantic hills. In Book One of the River of Time series, Gabi and Lia are stuck among the rubble of medieval castles in rural Tuscany on yet another hot, boring, and dusty archeological site . . . until Gabi places her hand atop a handprint in an ancient tomb and finds herself in fourteenth-century Italy. And worse yet, in the middle of a fierce battle between knights of two opposing forces. And thus she comes to be rescued by the knight-prince Marcello Falassi, who takes her back to his father's castle--a castle Gabi has seen in ruins in another life. Suddenly Gabi's summer in Italy is much, much more interesting. But what do you do when your knight in shining armor lives, literally, in a different world? 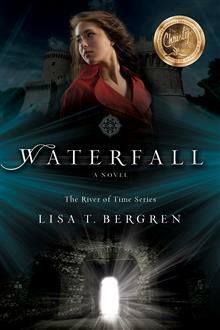 Lisa T. Bergren is the best-selling, award-winning author of more than thirty books that have sold more than two million copies. A former publishing executive, she now splits her time writing, editing, and dreaming of her next trip to Italy while parenting her three children with her husband, Tim. They live in Colorado Springs, Colorado.